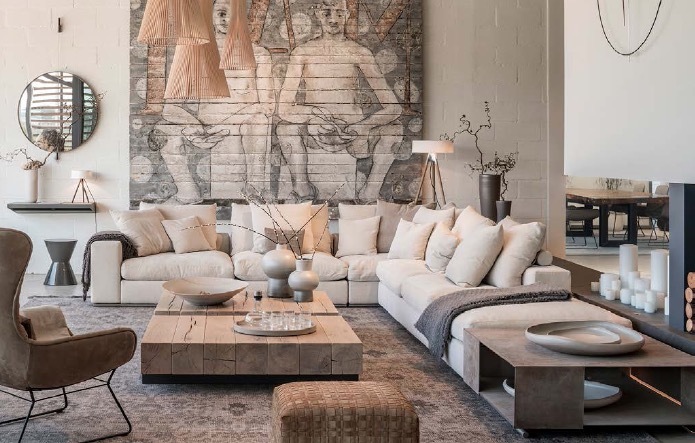 My dream has always been to create living spaces in complete harmony with the souls of those who will encounter them; houses with elegance based on a sophisticated design concept, in connection with nature and the Mediterranean lifestyle. My dream came true when TERRAZA BALEAR was founded. Since that day, our mission has been to interpret the ideas of our clients and create soulful homes for them with unique and distinctive atmospheres. My deepest THANKS go to everyone who plays a key role in TERRAZA BALEAR: our partners, our brands, our craftsmen and especially our passionate sta . Without all of them nothing would have been possible. We will be more than pleased to meet you in person in our showroom. The contemporary sophistication of “Made in Italy” combines with the Mediterranean lifestyle to create the signature elegance of Terraza Balear style. Timeless silhouettes and materials, meticulous care for details and nishings and a feeling of luxury are key components in every project. 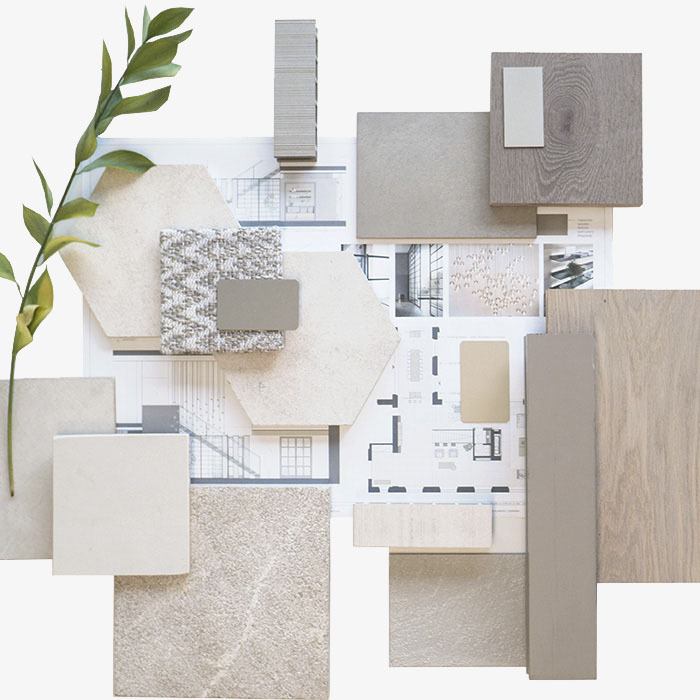 Terraza Balear creates interior concepts inspired by Mallorca, where the architecture and furnishings flow together and connect with the Mediterranean lifestyle. By bringing the outside in, we capture the harmony and purity of the environment and showcase it in our designs. At Terraza Balear, our devotion to creating environments that are a pure joy to inhabit is in our DNA. We pour our hearts and souls into every project and each space is made with love – a feeling that’s transmitted through our work. We create unique homes that live and breathe with a soul of their own, each evoking its own emotions. The beauty of Mallorca captivates its visitors and many have chosen to have a property here, either as a permanent residence or as a second residence. Terraza Balear arises to cover the needs of an international community turning that property into a home where its inhabitants can enjoy in full harmony and connect with the Mediterranean lifestyle. Terraza Balear was launched in 2010 as an exclusive outdoor furniture showroom. Founder Mariana Munoz’s vision and creativity soon saw the business combining luxury interior design projects adapted to the Mediterranean climate with a showroom with more than 1000 square meters of tranquil space displaying the most exclusive Italian furniture brands, for both indoors and outdoors, amid an ambience of calm and beauty. 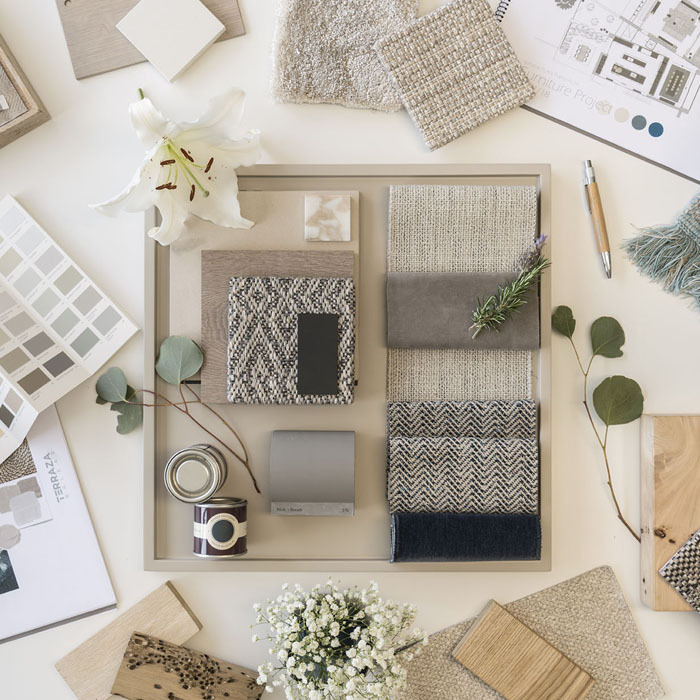 Our skilled and passionate team of interior designers and architects transform homes into magical and unique living spaces – environments that breathe and have a timeless aesthetic where everything flows, with elegance and sophistication in perfect balance. Earthy colours, natural materials and harmony in the proportions and dimensions combine to create interiors unique to each client that not only satisfy every physical comfort but are also imbued with an emotional richness that creates a warmth and ease of feeling truly ‘at home’. Our aim is to make any private space a personalised masterpiece. Furnishing a room calls for empathy, taste and a trained eye for design. These skills ensure we continue to win the hearts of our discerning clients and the attention of the international community. Our mission is to create coherent, unique ideas with essence and soul, that meet not only physical needs (space, comfort, functionality) but also psychic needs (beauty, harmony, aesthetics). 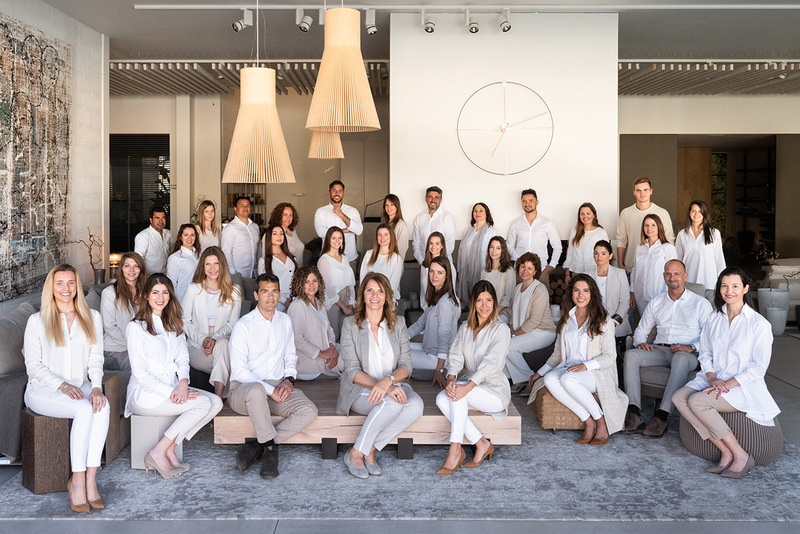 Our work goes beyond our exclusive furnishings and our interior design projects, because throughout all our work we essentially manage emotions, creating environments that feel restful yet uplifting and are pure joy to inhabit. Our vision is to position Terraza Balear as an absolute leader in interior design while consolidating our reputation as an indisputable pinnacle in the high-end interior design sector. We want Terraza Balear “to leave a footprint” along the way so that our contribution to the interior design sector is a benchmark in the market that acts as an absolute reference in the creation and design of spaces.